Leinenkugel BeerGarten Tart - AoM: Beer et al. Having just had some wine out of a flute, I poured my beer into the glass (after I rinsed the glass with some of beer) and got a look at it's color and head. The beer had a wheat smell and a subtle sour taste amid the carbonation. Upon a second sip, I reiterated that it was tart and had a wheat taste. 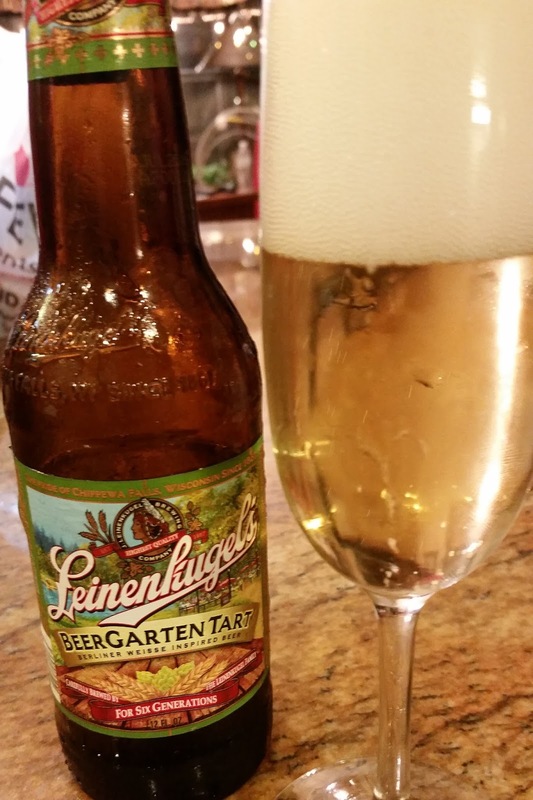 Leinenkugel’s® BeerGarten Tart starts out with a snap of tartness balanced by a subtle sweetness from pale malts. It’s our take on a Berliner Weisse, a classic German biergarten summer favorite. Brewed with American wheat, BeerGarten Tart’s light body and refreshing finish are perfect for warm summer days.